The Jaguar Colorado Springs Demo Vehicle Special offers a great opportunity for you to purchase the luxurious 2018 Jaguar F-PACE 30T. 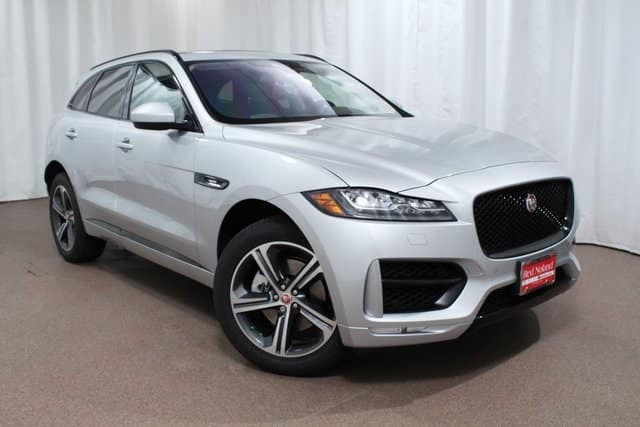 These F-PACE 30T models are gently used demo vehicles with extremely low miles. We have F-PACE 30T Prestige and 30T R-Sport models available. All of these have the powerful 2.0L I4 Turbocharged engine. You can expect an impressive estimated 22 mpg city and 27 mpg highway. You will also enjoy a variety of features on your F-PACE including navigation and AWD. Save big on an amazing performance SUV with the Demo Vehicle Special at Jaguar Colorado Springs. Visit today for the best selection, because there are a limited number of these gently used vehicles.